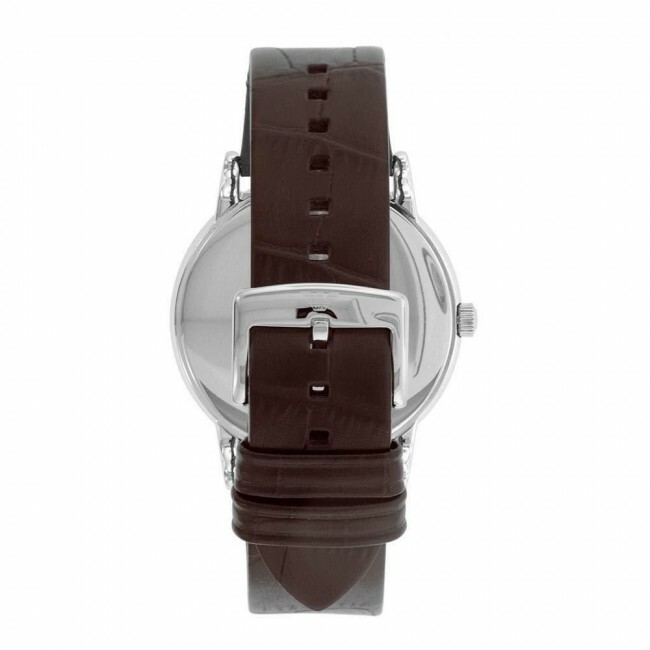 Material of the case is Stainless Steel while the dial colour is Bronze. 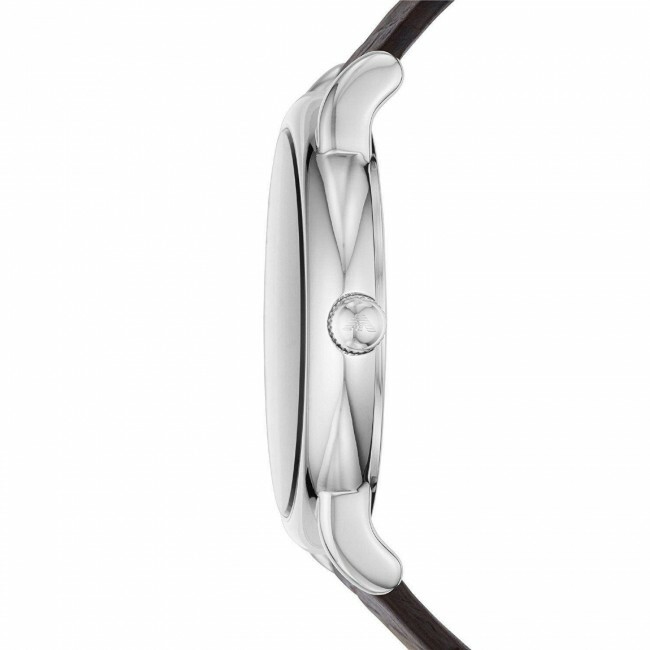 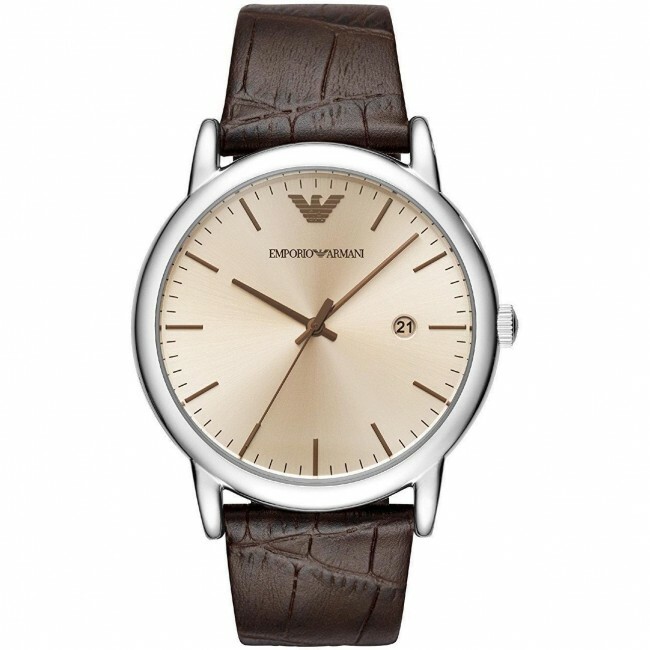 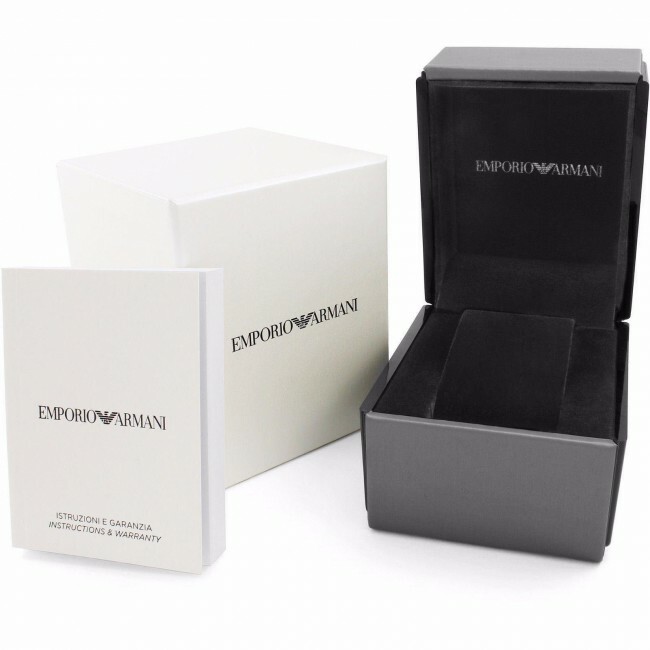 Part of the EMPORIO ARMANI this handsome men's watch features a silver sunray dial with an amber crystal, gunmetal IP stick indexes and brown leather strap. 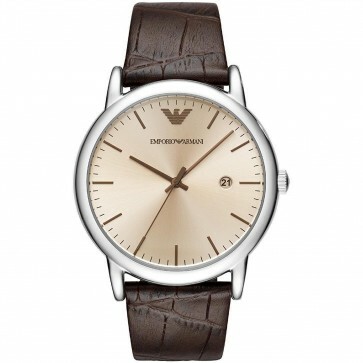 The stainless steel case back features a 20th anniversary logo.